Matt Perron is a Manager of Patient Access at the Wilshire Group. Matt brings over 9 years of patient access implementation and optimization experience where he specializes in front end registration efficiency, authorization processes, and insurance eligibility. 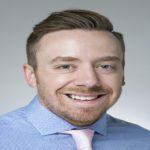 Prior to joining the Wilshire Group, Matt spent 6.5 years at Epic working with many clients including large multi-hospital organizations, academic institutions, children’s hospitals and community connect sites. He was also the implementation success owner for scheduling and authorization at Epic, where his role was ensuring success for all ongoing implementations. Matt also spent 1.5 years at Experian Health focusing on Real-Time Eligibility and Authorization process improvement. Matt has a BBA in Management and Human Resources from the University of Wisconsin-Madison and he currently lives in Denver, Colorado.